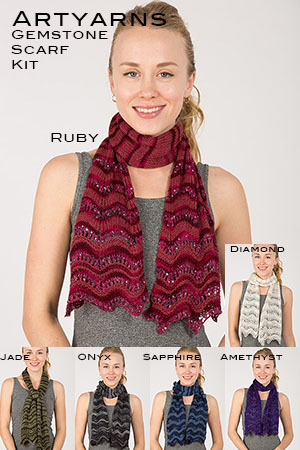 Artyarns Knitting Kit - The Gemstone Scarf Kit! This kit comes in 6 beautiful color combos! 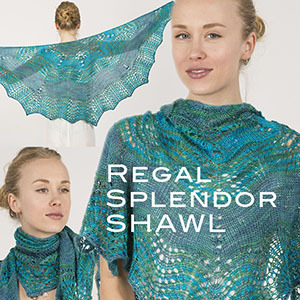 Combining Merino cloud and Beaded silk & sequins Light, this stunning scarf is perfect to make or give as a gift this holiday season!! 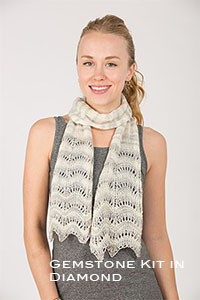 Comes with all the yarn needed to make this lovely scarf, plus the pattern. You'll need US8 Needles. Finished size is 8" by 60". We recommend ADDI ROCKETS for this kit. 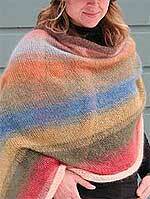 You'll need US8 Needles for this fabulous scarf kit! 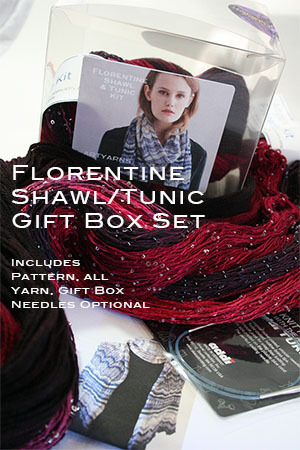 Florentine Shawl Kit Waves of Glory Shawl Regal Splendor Shawl Kit This fabulous oversized shawl or blanket comes prepacked in 5 fantastic tonal colorways!